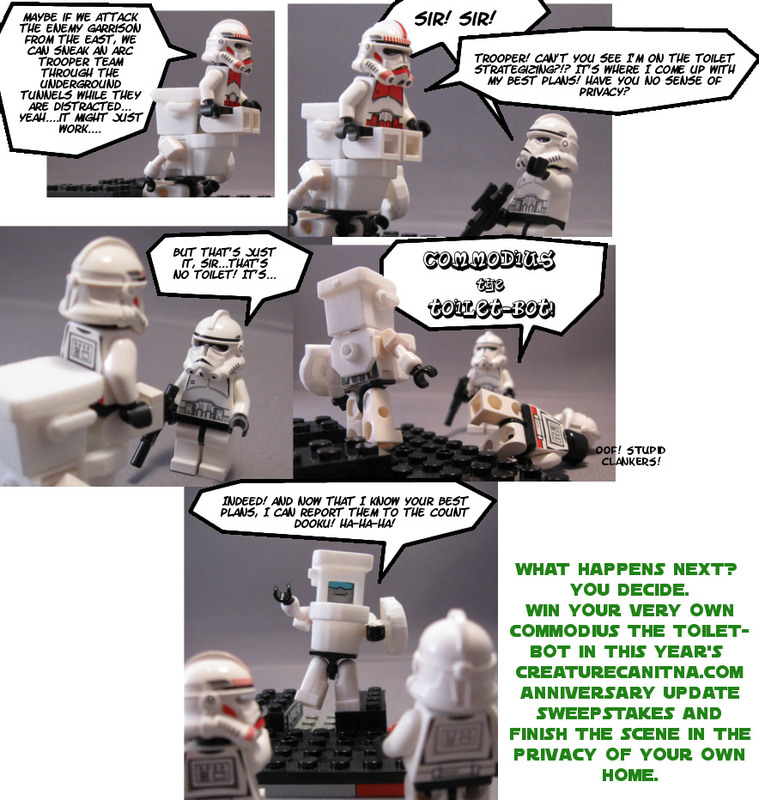 CreatureCantina.com: CC.com THIRTEENTH ANNIVERSARY CONTEST! To mark the Thirteenth Anniversary of CreatureCantina.com, we're going to give away some stuff! This is our little thank you to all our loyal readers who enjoy the hilarious content we occasionally produce. This year we're giving away some awfully cool prizes. 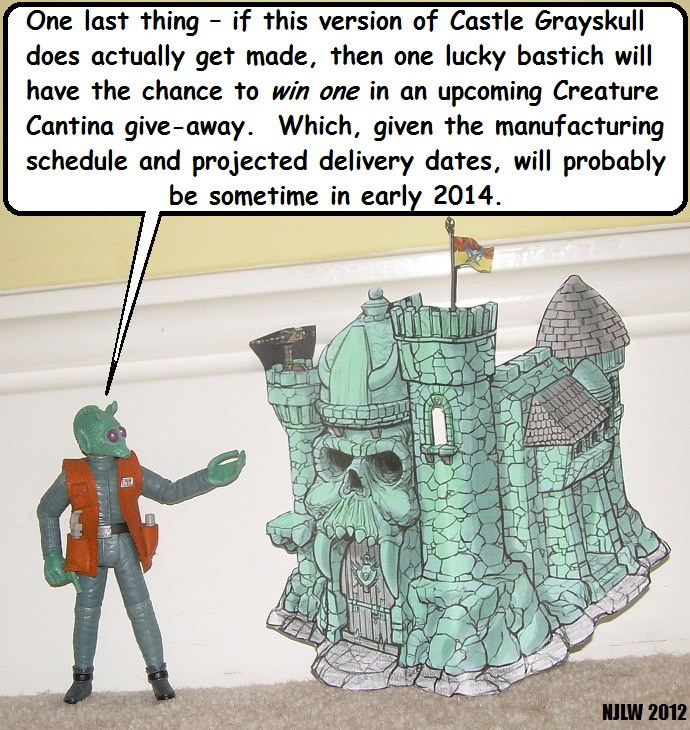 First prize, as promised by Beedo last year in this article, is a Masters of the Universe Classics edition Castle Grayskull! Talk about an AWESOME PRIZE!!! This sucker routinely sells for over $300 on eBay! And you have the chance to win one! How sweet is that?? 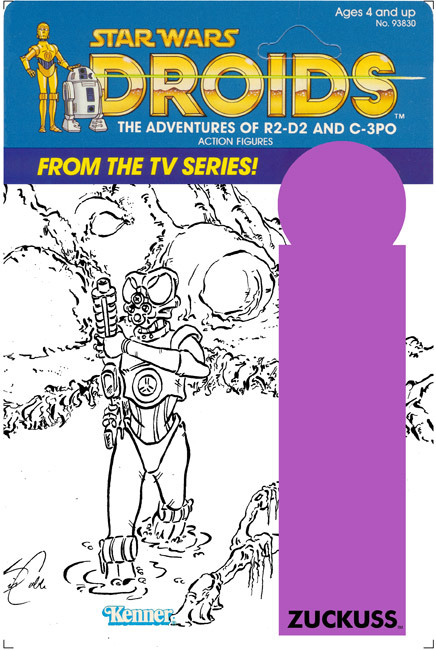 Second prize is a yet-to-be-completed, custom Droids-style carded action figure featuring the artwork of Bill Cable! I'm currently gathering materials for production. I'll be using some art from a proof card I did a couple years back. This figure will continue a line I produced years back that featured Bossk, Chewbacca, Royal Guard and Stormtrooper. Third prize is another custom... this one is from Tresob Yr. This awesome little figure was featured in an article Tresob posted last year. People told him he couldn't even give the thing away! We're proving those people WRONG! Behold Commodius! Now the way this works - we'll randomly choose three winners. The first will get his choice of one of the prizes. The second will choose from the remaining two. And the third winner will get the last remaining prize. We're going to limit this contest to ONE ENTRY PER HOUSEHOLD. None of this sign up your wife and your kid and your dog stuff we always see. We will only ship to the street address provided, and if you ask to ship it somewhere else you're disqualified. We want this to be fair to everyone! How do you enter? It's simple! Click here and fill out the form. That's all there is to it. Entries must be received by Monday April 7th @ 11:59pm Eastern. Winners will be announced NEXT WEEK! Good luck!